A well furnished newly built flat with GARAGE and LIFT facility is on SALE. The property is located at a walking distance from the METRO & BUS STOP. 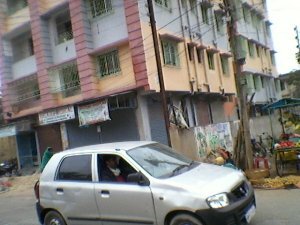 AUTO is available at the door-step of the apartment. It would take 1 min to reach METRO or BUS STOP with help of auto. For GARAGE extra charge is applicable. BANK, NURSING HOME, MARKET, ATM, METRO, BUS, AUTO are at a walking distance from the apartment.